Nature and Parks Authority removes body of dead shark, warns people not to approach the species. A dead sandbar shark was found washed up on the shore of a Nahariya beach on Saturday. Nature and Parks Authority supervisors called to the scene took the shark, which measured 1.6 meters (5'3") in length, for evaluation. "Marine Unit supervisors...were called to the scene and transferred the [shark] for autopsy, in order to determine the cause of its death," the Nature and Parks Authority said in a statement. "The sandpaper shark found in the Mediterranean Sea consumes fish and invertebrates, and is not known to be dangerous to people." 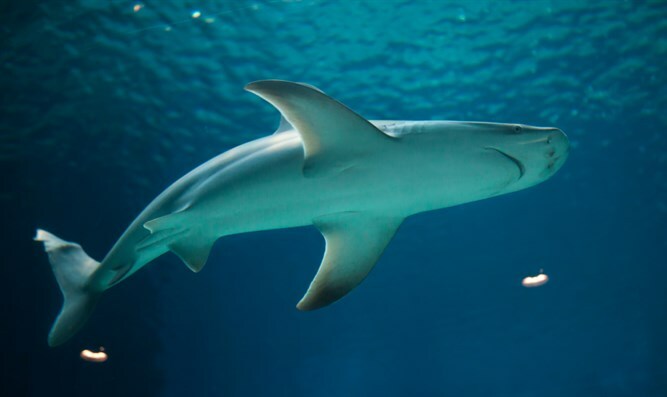 However, the Authority urged people not to approach the sharks, since "the sharks are defined as a protected species, and it is forbidden to harm them or disturb them." "It is wise to keep a distance, as a cautionary measure," they added.